Navigating the future wasn't meant to be this hard. Scientific advances promised a productive, single-button leisurely existence. Video-phones, aircars and robot butlers supposedly excised the drudgery and endless chores of day-to-day life. Reality has seen the daily grind replaced with new distractions requiring just as much effort to conquer. Viruses, spam, the Blue Screen of Death, hundreds of daily e-mails, printers that won't print, laptops that won't connect to networks, new computers going out of warranty after only 90 days, hours waiting on tech support phone lines and hours spent installing software updates to prevent hackers from stealing your valuable data. The list goes on, however the limited number of hours in a day remains constant. Who has the time to cope with all these technological "miracles" while also managing the ordinary day-to-day business life? These are challenging times, and not just for CEO's of formerly high-flying companies. Our services run the gamut from Web and online development to tech support. Facebook and Social Network application development is a core specialty along with devising Search Engine Optimization (SEO) strategies. Instant help is available for upgrading computer hardware, installing software, creating recovery plans for those critical moments when your data has to be retrieved from a crashed system and helping your employees become more productive with the work they were hired to do - rather than the tech support role they inherit when things go wrong. 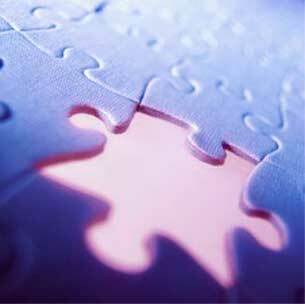 Let us complete your IT puzzle. Contact us today for a consultation based around your business needs. We offer unbiased, expert assistance at affordable rates.